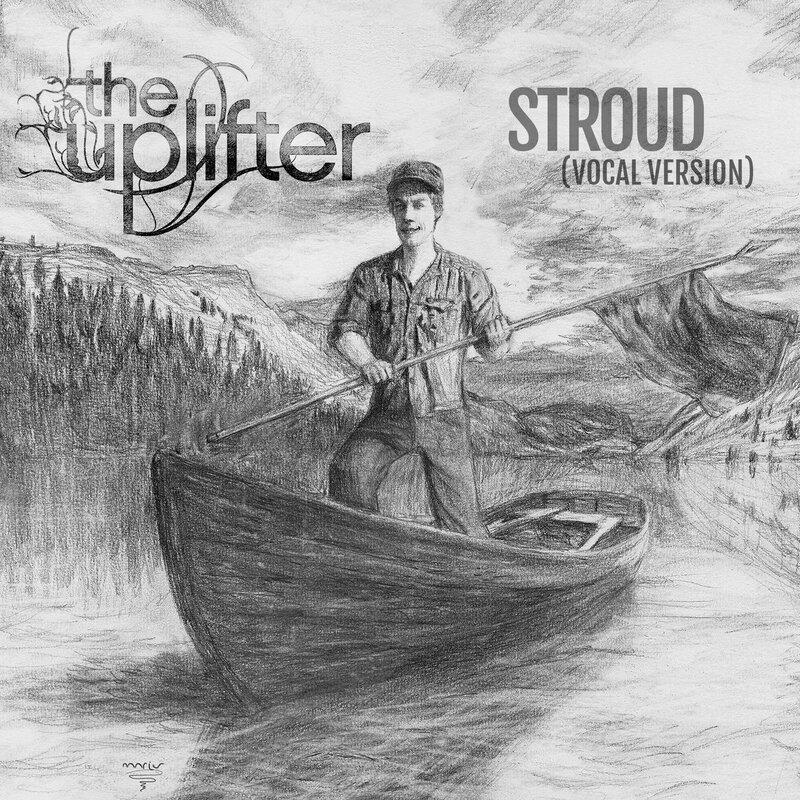 For over a decade I have been doing shows in a little Cotswold town called Stroud. It was an instant love affair. 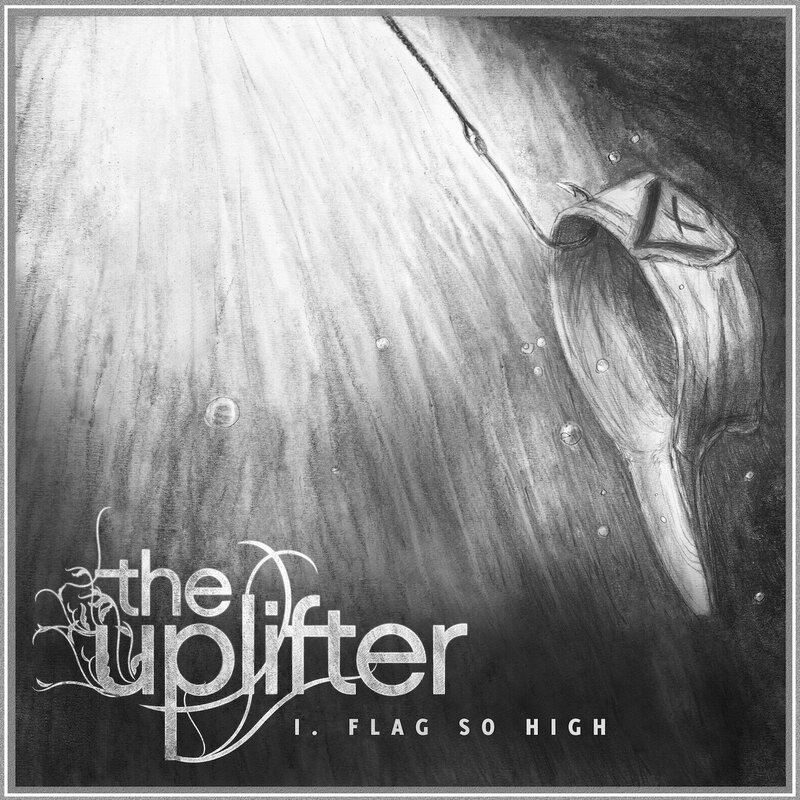 Although we often have shared values and beliefs, I've always felt that we all have our own independent flag that we fly high. I love that we have our own individual opinions and feelings about the world around us. In this day and age, especially in Britain, I've often felt that from a young age there are certain expectations of how we should lead our lives, to jump onto the conveyor belt of working a 9-5 job, as if this is the 'norm'. It can be a hard decision at first to 'go it alone' and carve out your own destiny... I guess this release was to set this idea in stone from a personal perspective and represent the pursuit of a dream rather than follow what is so often socially expected of us. Roots reggae and dub music has been a big part in this pursuit of that dream and has moved me to places both mentally and physically that would have been otherwise untouchable. So much so that I felt the urge to release my own thread to this fabric of music. This is my interpretation, you may take away something different. Take from it what you will. With this vinyl (and now digital download) release, I had a pre-conceived vision of the artwork in my head, with a certain feel to it. This is when I found Brazilian artist, Victor Maristane. A very talented, hard working, passionate and all round nice guy based on the east cost of Brazil. I first stumbled across his work online whilst researching for another music project - I saw a pencil drawing of Alice from Jan Švankmajer's film 'Alice' (https://blog.maristane.com/en/2009/05/31/alice-2) and that was it, If I could, I wanted this person to create some drawings... So I got in touch... and the rest is history. More than one person after seeing the artwork has seen similarities in his pencil work to that of J.R Tolkien's, I can see why. 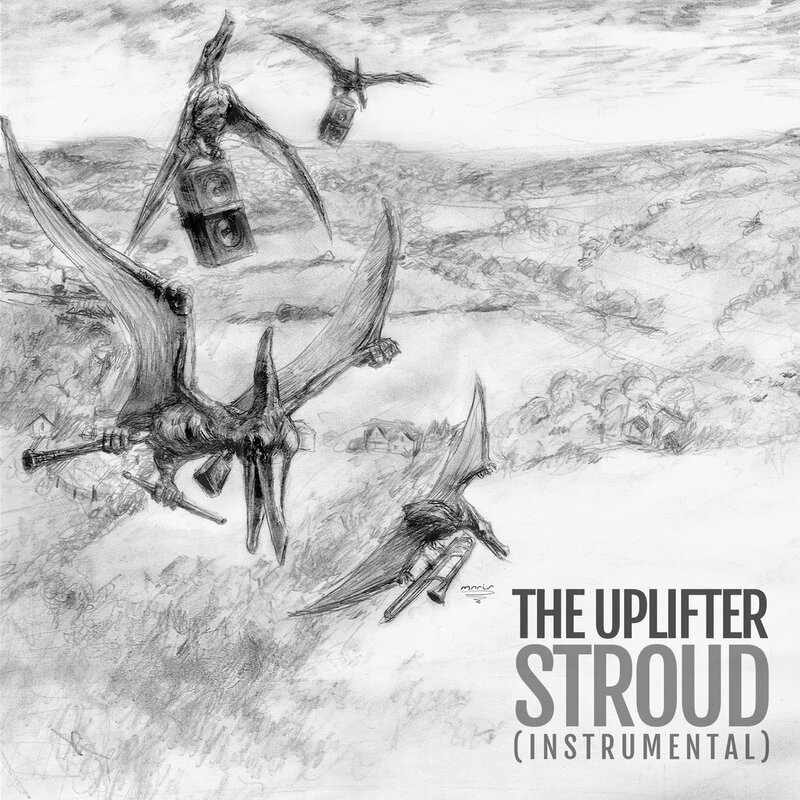 I teamed up with UK reggae/dub artist and producer Paul Fox at Sound Business Studio to create this in a culmination of nearly two years work in rural Hampshire, England. Turn it up and play it LOUD! When the world we are presented with gets too much, for me, I've always pictured my family, friends and all the conscious minded people launching some wooden boats, rowing off into the distance on calm water into a warm sunset to some place better. Somewhere peaceful. This cover features my pet lizard Draco (see if you can spot him! ), family members and with references to fishing and water - themes which always seem to crop up. 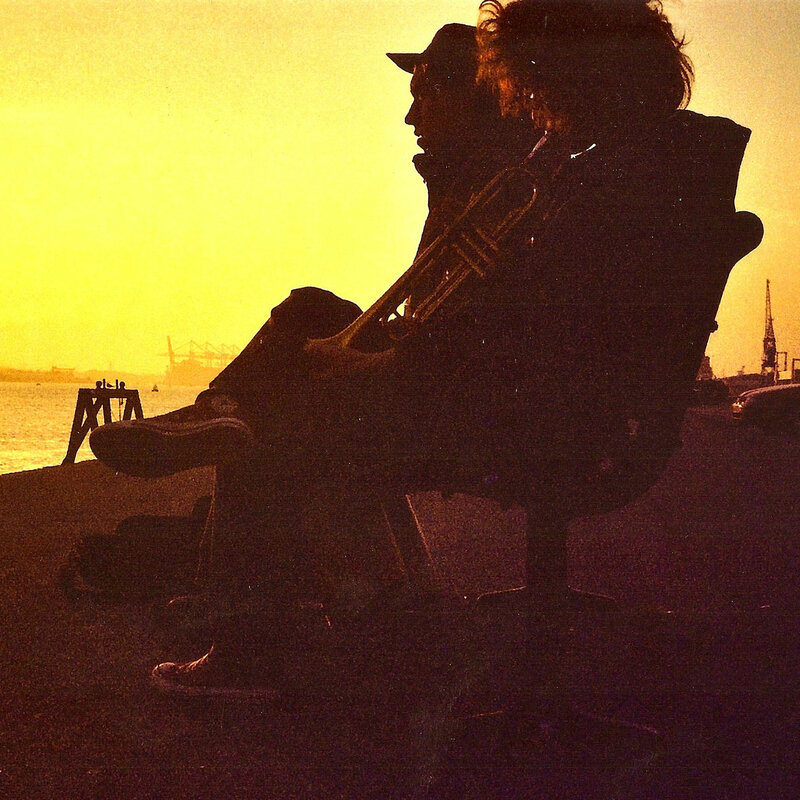 Many years were spent in Ireland and after two tours of New Zealand - the landscape on both the record sleeve and label remind me of the landscape in both of these beautiful countries. 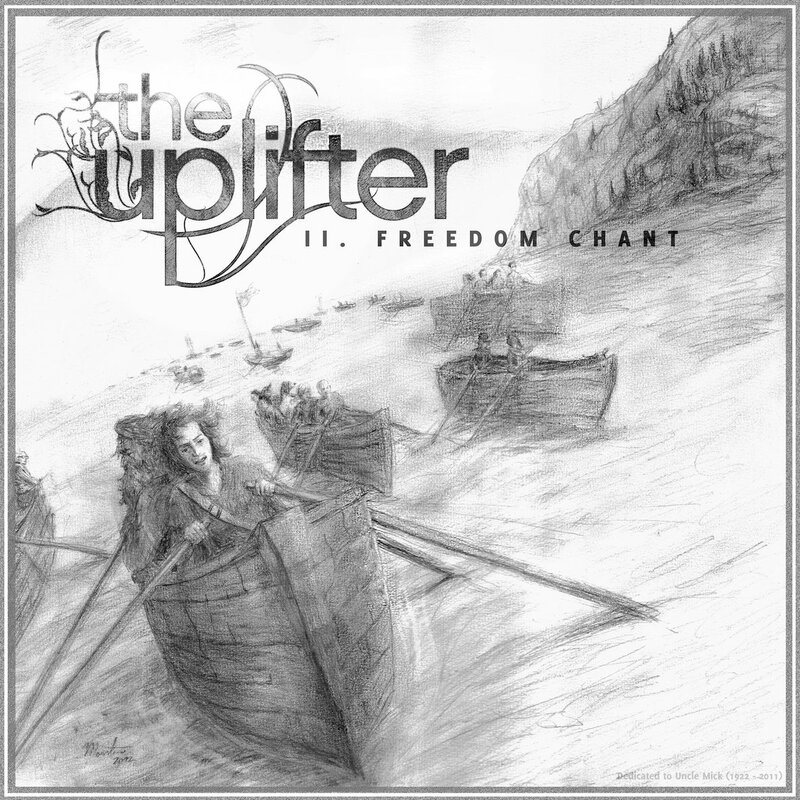 Paul Fox features on the second verse of Freedom Chant and sings with me on the chorus. The vinyl release is dedicated to my great uncle, Uncle Mick, who was one of my favourite people in the world. He passed away during the production of this record. We used to go fishing together in Ireland from when I was a child, up to recent times. If you look closely bottom left of the image (and click to enlarge), you'll find him fishing off the back of a boat, where he always liked to be. Back in the late 90s up to 2002 I played trombone, guitar and sang in a ska/punk/reggae band called Punchbowl. The decision was made to rekindle a friendship and create a brass instrumental version of 'Flag So High' and who better to ask to accompany me than my old bandmate from way back when, Dave ('Trumpet') Leonard. He travelled from Manchester down to Southampton to record the trumpet parts and we worked out some harmonies over cups of tea, just like old times. The photo image was taken during a trip down to the sea at Mayflower Park in Southampton to work out some horn lines with some percussion in front of the docks. We plan to work together on another future release... and drink tea. As with nearly all Reggae/Dub vinyl releases you get the vocal cut and a dub version, sometimes a 3rd instrumental... I decided to go for all three. 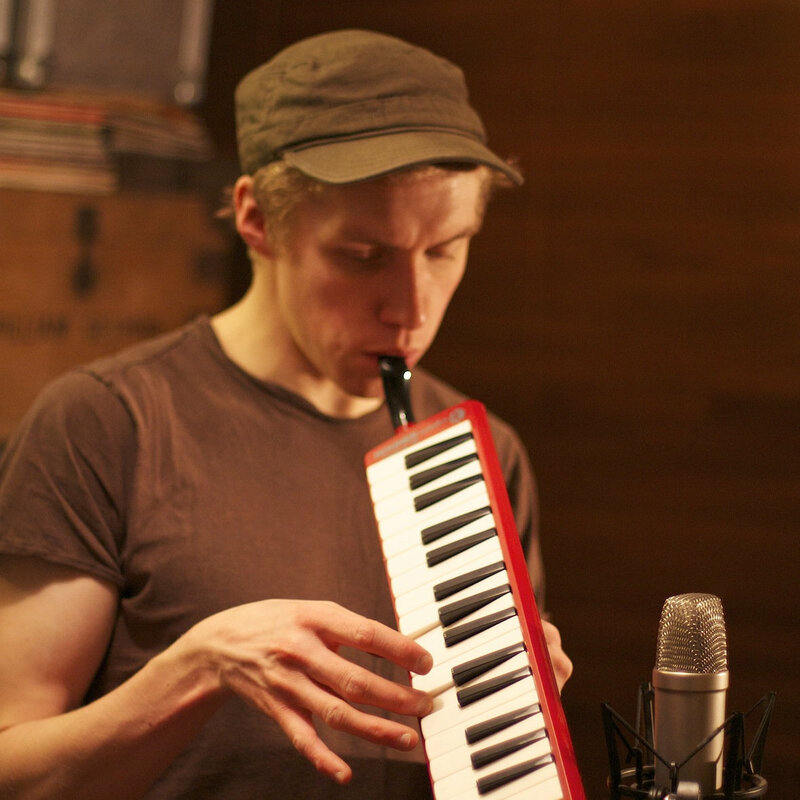 As with the brass instrumental to 'Flag So High' tune I wanted their to be an instrumental version of 'Freedom Chant', this time the melodica was the chosen instrument. Augustus Pablo Meets Rockers Uptown was the seminal album that got me hooked on roots reggae and dub music. Pablo's melodica playing is a wonderful thing. With this tune, there was no rehearsal. Paul Fox set up the mic, hit record and ran the track. What you hear is just what happened in the moment. 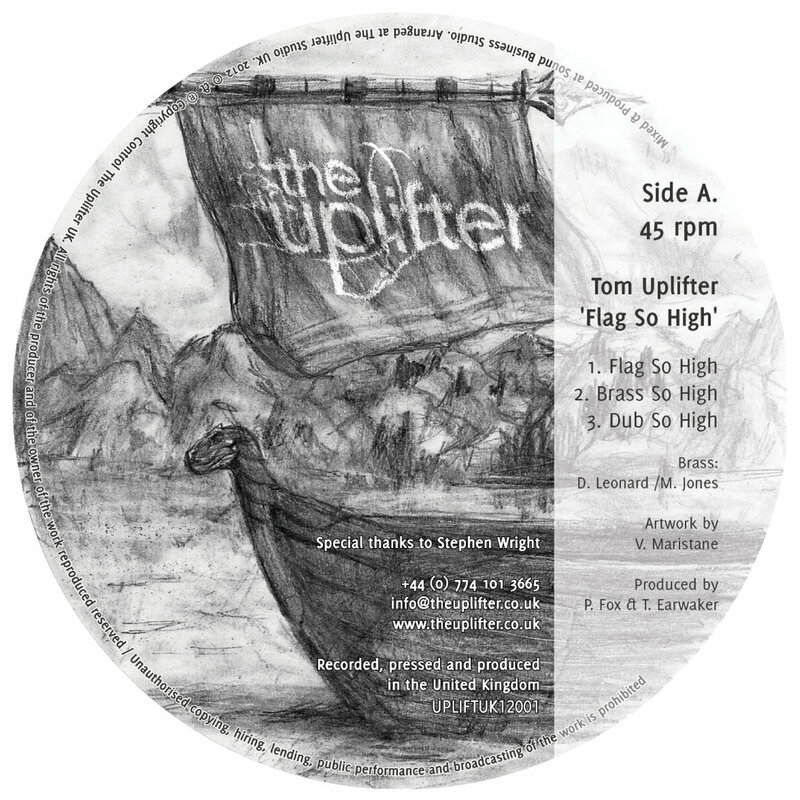 This is the dub version of 'Flag So High' previously only available on the vinyl version. Tom (Uplifter) Earwaker - Vocals, percussion, programming. Paul Fox - Programming and dub mix. 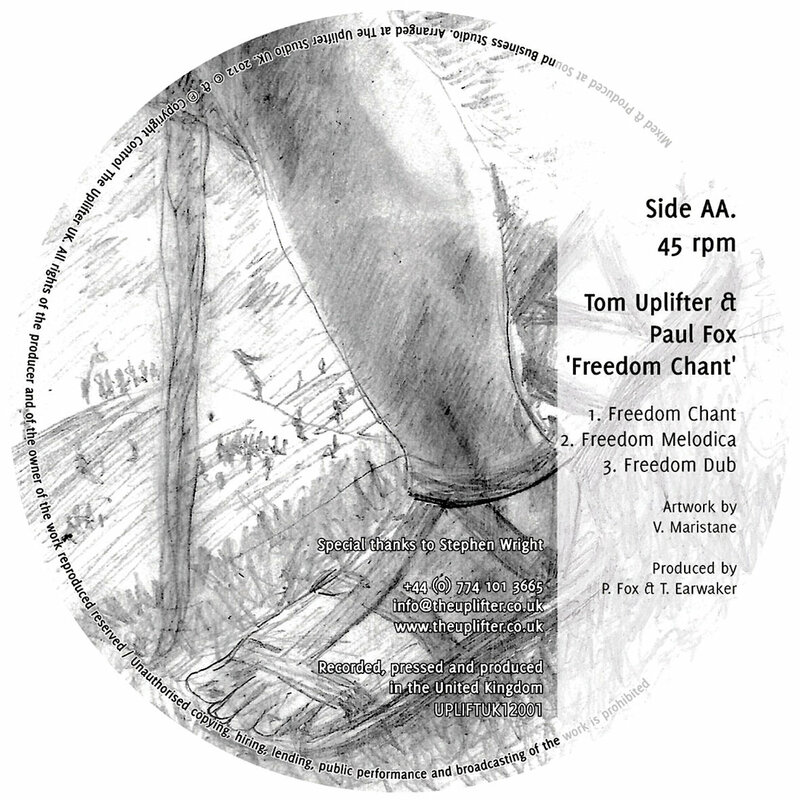 A heavy dub version of 'Freedom Chant' with a dub mix from Paul Fox.